I received this Topside free of charge directly from HealthCabin for the purpose of this review. Regardless of this, it will not color my opinion on this review in any way, shape or form. This came in an rectangular box with a paper sleeve in white with the mod printed on the front together with the name of it. On one side it says «Dovpo» and on the other it says «A TVC Creation». On the backside you find an informative text about the mod and some specifications, together with a scratch and sniff for authenticity. With the sleeve taken off, you find a plastic box in black with a lid that slides off and on. Opened up, you find the mod residing with the USB cable and the bag with spares, a QC card, a card on battery safety, a manual and a card with a text written by Brian from TVC. 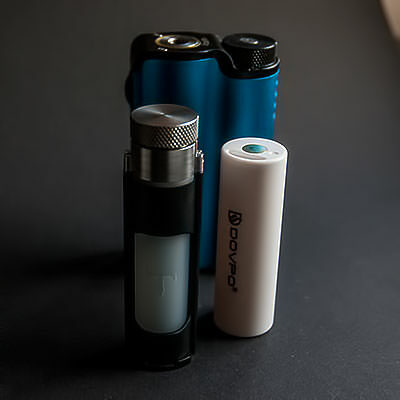 This mod is made in collaboration between Dovpo and Brian from TVC and it is the first squonk mod, as far as I know, that has top fill for the squonk bottle, and I must say that it is convenient and it makes it real easy to fill the bottle up, and furthermore, no mess with liquid here and there and everywhere. 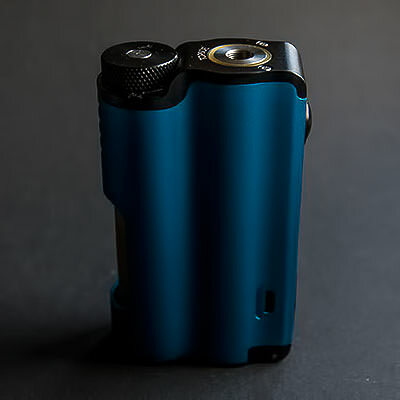 The mod is kind of a slender mod, but quite tall when I compare it to other squonk mods I have that can utilize 21700 batteries, the Pulse X as an example is only 82 mm, which is a lot shorter. At least that’s my opinion. 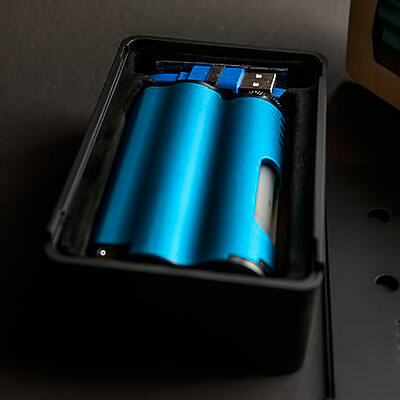 This mod can be used with 18650 batteries by using the battery adaptor it comes with, as well as 20700 and 21700. To turn the mod on or off you click the fire button 5 times in a rapid manner. It is a simple mod, to be honest, when it comes to what it can do. On arrival it only do Wattage mode and Bypass mode and that’s it really. 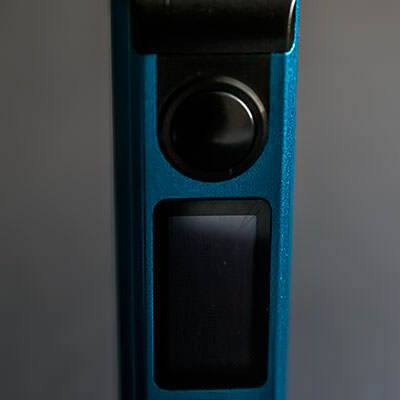 The TC, for those wanting to use the mod with that, is only available through a firmware upgrade. That firmware upgrade is only available for the ones using Windows computers since there isn’t any software made for the ones using Mac. To me in this time and age, it is just ridiculous to not develop software for both platforms and in my case makes it impossible to actually review how TC works on this mod. Total failure on Dovpo’s and TVC’s part if you ask me. To toggle between wattage mode and bypass mode you hold down the fire button together with the — button and it changes immediately. And to change back, you do the same all over again. 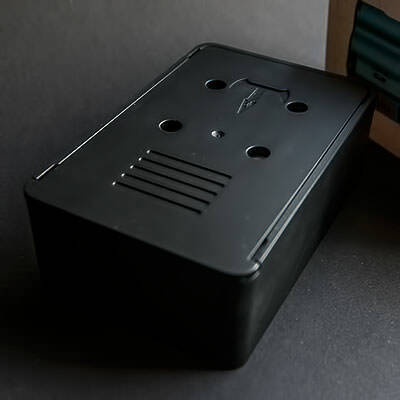 The wattage goes from 5w up to 90w and it changes in 0.5w increments when you click the button, if you hold the the + or — button down, it changes in 1w increments and when it reaches the 90w or the 5w it round robins and starts all over again. 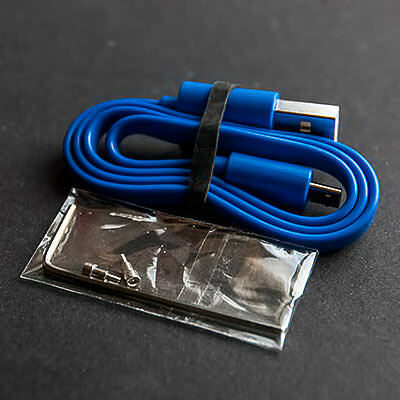 It has a resistance range going from 0.08Ω up to 3.5Ω and it does also have a number of protective features such as battery reversal protection, short-circuit protection, low resistance protection, open-circuit protection, overtime protection set to 10 seconds, over temperature protection which means the chip will cut the power if the temperature on the board goes over 75°C or 167°F, and finally, low voltage protection. The form factor on the mod is nice and it lies nicely in the hand. 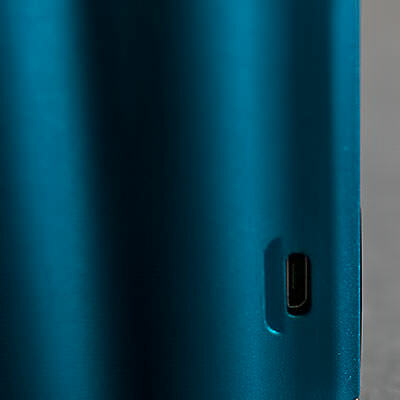 I only wish they had rounded the edges on the front of the mod a little more, since those are the only ones making the mod somewhat unpleasant in the hand. 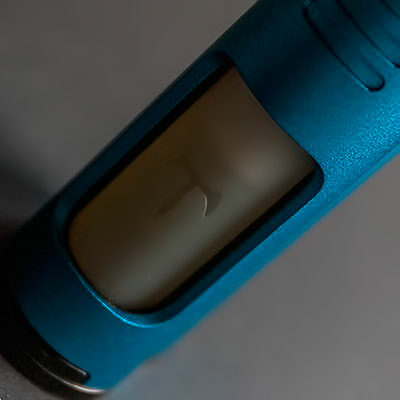 To fill the squonk bottle you just have to loosen the knurled cap of the bottle on top and pull it off and the filling is made real easy and no need for re-fill bottles you place in the 510 and so on. On the positive side is that the bottles hold 10ml of liquid. To change bottles all you have to do is to open up the battery door at the bottom and pull the bottle out and put the new one in. Basically real easy. 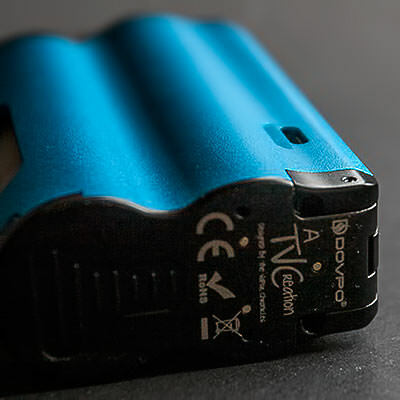 The battery is changed the same way and the battery goes positive side up. 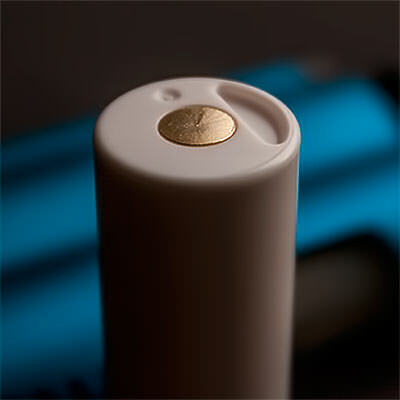 There is a polarity direction mark on the battery door to help you put the battery in in the right direction. 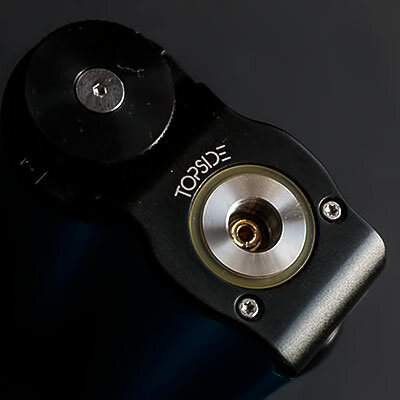 The 510 itself is gold plated, for what I imagine is better conductivity, and it is spring loaded of course and anything wider than 25 mm will overhang. Unfortunately the 510 doesn’t allow most of the RDA’s I tried on it to sit flush. 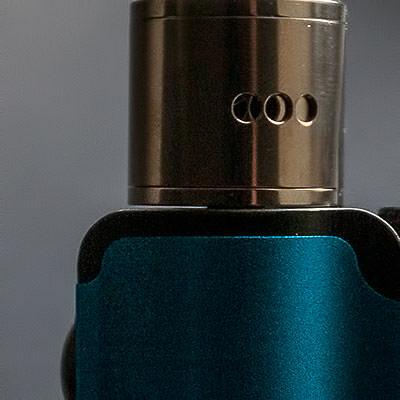 In fact most of the RDA’s I put on it sat above the mod and I were able to see between the mod and the RDA. Some RDA’s will sit higher and some a little lower, but I would say that no one will go low enough to meet the mod itself. 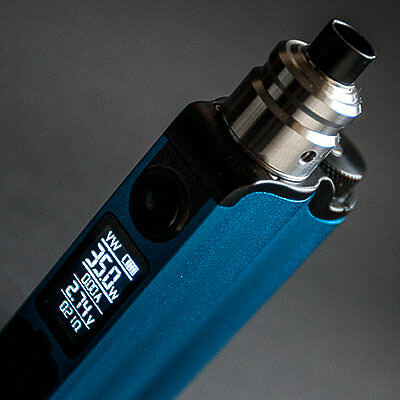 The screen isn’t bad at all and it shows what mode you got the mod in, it shows battery level, wattage, amperage, voltage and the resistance. What it would look like with the firmware upgrade installed isn’t something I can say anything about, since that part of the review died with not being able to do the upgrade. All in all not a bad mod at all. 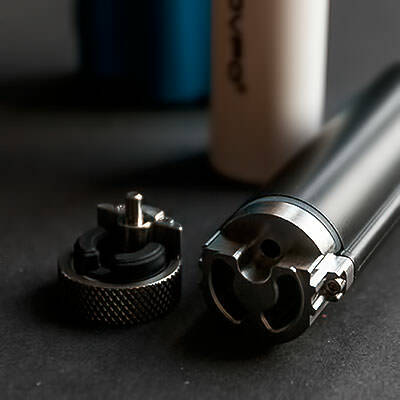 As it comes on delivery it is a simple mod and as such it does work as intended, at least in the time I have been using it for the review. Am I astonished by it? 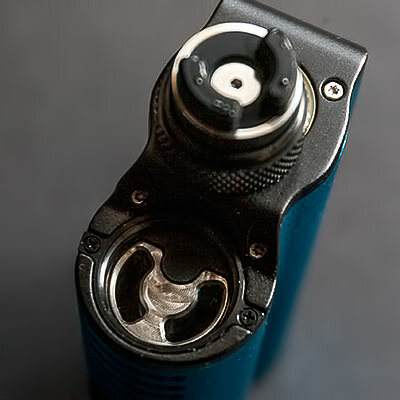 Not really… I do like the possibility to fill the squonk bottle from the top with the lack of liquid getting everywhere besides the bottle itself. It is a shame that they didn’t include TC from the get go. Sure thing is that the ones buying it would have benefitted from it being part of the firmware from the start and not only available through an upgrade that isn’t really available for anyone using a platform that isn’t Windows. If you find that top filling is a necessity that you can’t live without, I can’t see why not. But besides that, I gotta say that there are more competent mods on the market that include more settings and options than this one does considering the price. 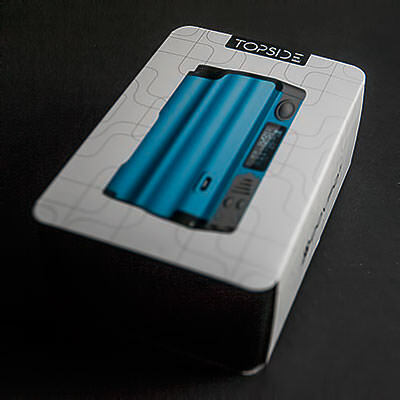 Topside Squonk Mod for $84.99 at the time I wrote the review. Nice review. Had my eye on this one. Nice review @Norseman. Thank you! Shame about the firmware issue though. Sounds like Dovpo was a wee bit hasty getting it out on the market. 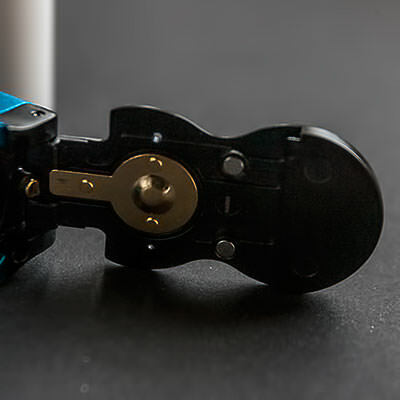 I’d think anyway that they spent more time getting the squonk top fill right and less on the TC/firmware part, which makes sense to me. I would definitely rather have the mod function properly and have the revolutionary part done well right, instead of having a mod with a lot of firmware bits and bobs but constantly leaking or otherwise troublesome. KISS principle I would think. I would have it already if it was dual celled. I agree, but the lack of concern by Dovpo lessened the admiration, IF you offer something deliver it. Thanks man. Yeah it does kinda look that way to me and some lack in QC as well. Thanks. 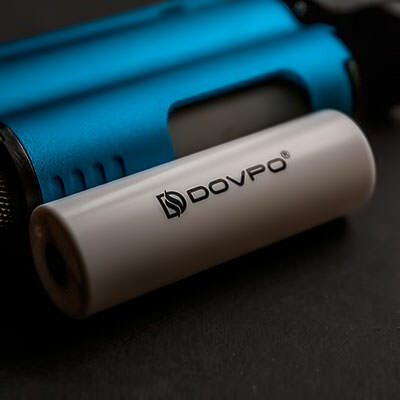 Definitely a shame that you never got the firmware to load and even more so that Dovpo haven’t helped out or even replied. That last bit tells me a lot about a company. Spending a little more time to make a firmware with the TC to work as it should wouldn’t have taken them much time and would have improved the mod a lot. thanks but no thanks, there are better ones out, like the rage.